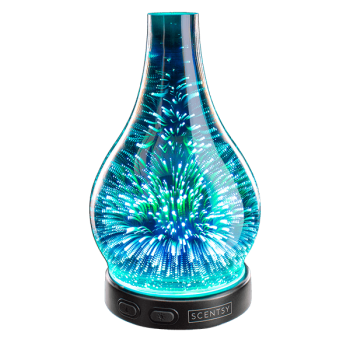 There is always a lot of anticipation for new Scentsy products when they are launched, but the excitement surrounding the Scentsy Stargaze Diffuser and Shade was something I haven’t seen before. 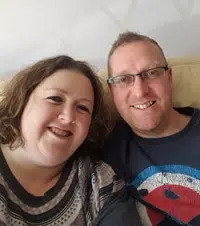 When its launch was announced at our annual Scentsy conference in Edinburgh in July, there was a lot of very happy Scentsy consultants! 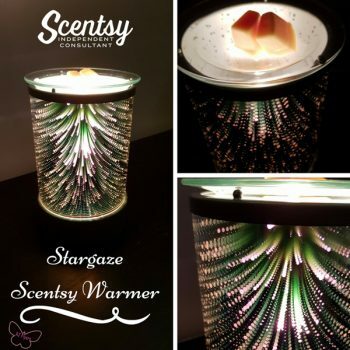 If you are a big Scentsy fan, you will know that the US have had a Stargaze warmer for a year now and I have lost count of how many requests I have had from customers wanting this warmer. 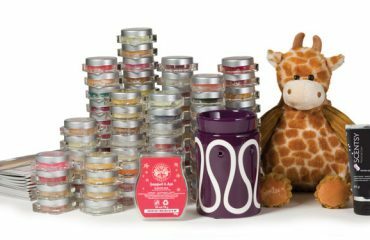 Unfortunately, the US warmers won’t work here, so Scentsy responded to the demand we had here and have given us something extra special! 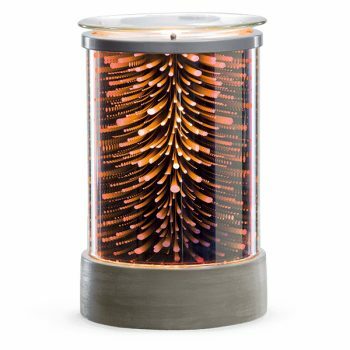 The Stargaze Diffuser, in one word, spectacular! I love the firework effect it has and when it changes colour it is just mesmerising. To view the colour changes for this diffuser, please click here. How Does The Stargaze Diffuser Work? 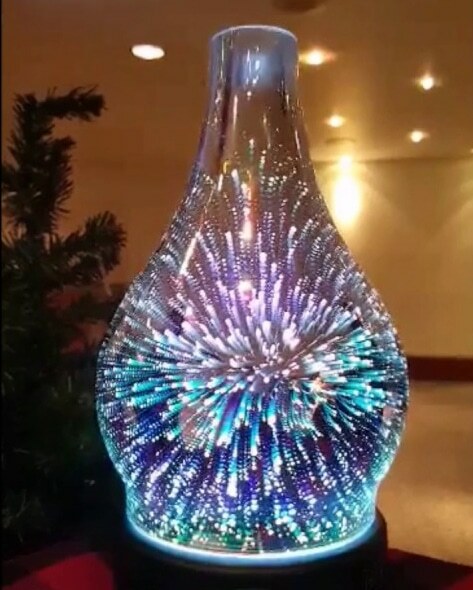 As with all our diffusers, they have multiple colour changes and market leading technology. 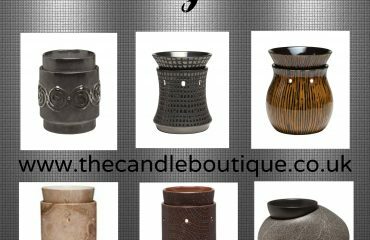 To read more about how the Scentsy Diffusers work, you are welcome to read my blog or watch my YouTube video. Can You Purchase The Stargaze Diffuser Shade Separately? 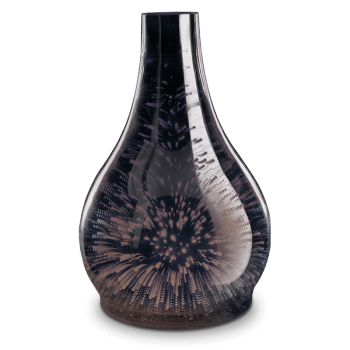 The best news is that if you already have a Scentsy Diffuser, you can purchase the Stargaze Diffuser Shade separately! This is a perfect way to dress your decor ready for the cozy winter nights. 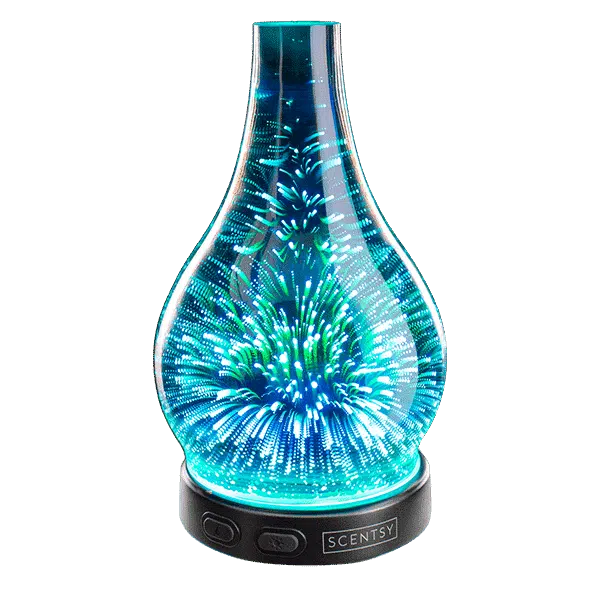 Colours burst and streak across this diffuser in a mesmerizing display that’s totally unique from one piece to another. 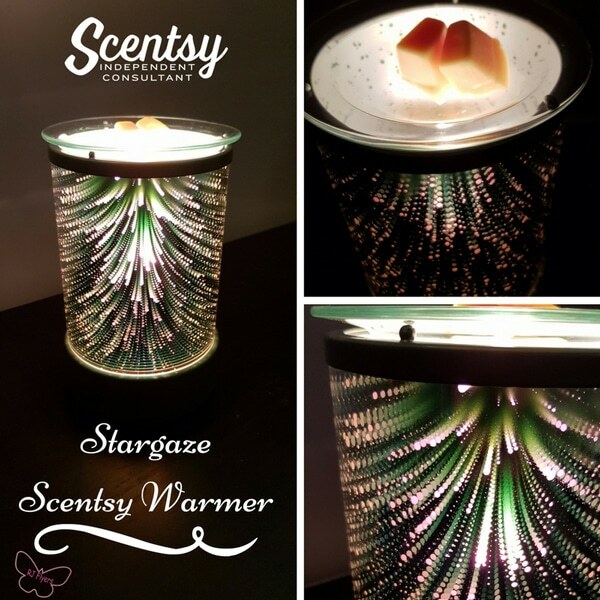 If you prefer your scented wax to oils, then the best news is that we also have a Stargaze warmer available as well! How amazing is this? 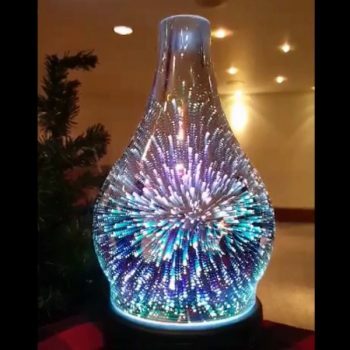 If you are interested in buying this diffuser or the shade, or any of our Scentsy products please do get in touch and ask for details of our special shipping rates. 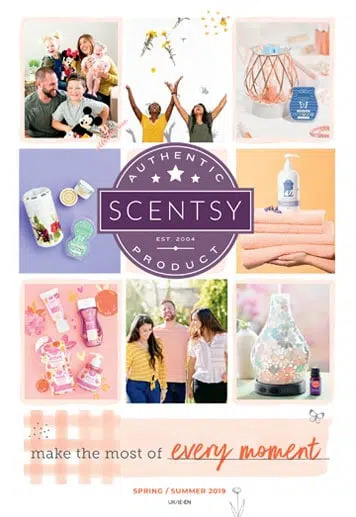 Join Scentsy UK, Ireland & Germany and Start Selling Scentsy Today!